Do I need a stand mixer to knead the dough? Of course not! For years people would knead dough by hand. And the lucky ones had a stand mixer to help them out. Then comes along the automatic bread machine, even better because you can mix the dough there with a few modifications and much less mess. This recipe worth your effort. Start out by measuring out all your ingredients. All ingredients measured out for dough. Using the stand mixer to knead the dough. And a final hand knead to shape the dough just before putting in a greased/oiled bowl for proofing. 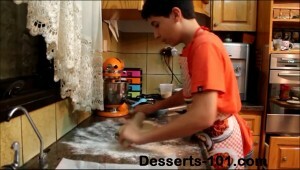 Kneading dough in Kitchen Aid® Stand Mixer. Hand knead 5-15 times then shape into ball and place into an oiled/greased bowl. Cover with plastic wrap and set aside in a warm place to proof. While the dough is proofing, we prepare the cinnamon sugar filling. And when the dough has completed proofing it will be time to make the rolls. Ingredients for Filling are pre-measured and mixed together. Dough after the first proof. Next step deflate and knead 5 time and allow to rest 5-10 minutes. Dough is rolled out to 1/4-inch (1 cm) thick. Melted butter is spread across rolled out dough. Cinnamon sugar has been spread and now spreading optional nuts or raisins. Roll up into a log. Trim the ends and slice into 16 pieces. Place on baking sheet and bake in a preheated oven. Rolling up dough tightly into a log. Scrap ends are trimmed and then dough is cut into 16 equal pieces. Cinnamon Rolls layed out on baking sheet ready to bake. Best Cinnamon Rolls hot out of the oven. 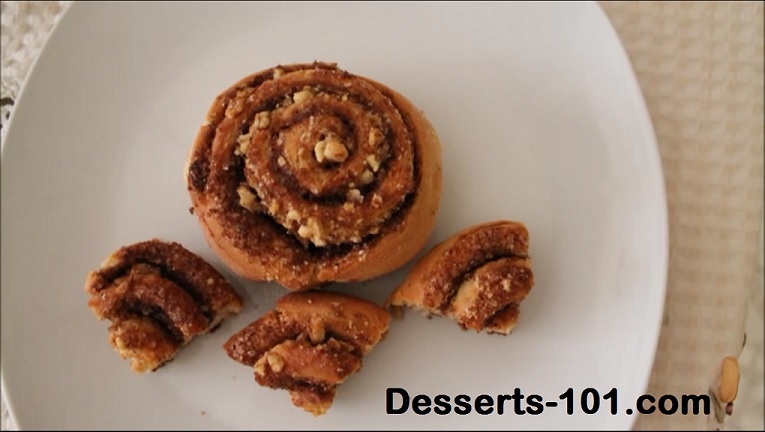 Bake fresh Best Cinnamon Rolls for breakfast and enjoy a wonderful treat. They are good anytime of the not just breakfast. In you stand mixing bowl, add the melted butter, warm milk, and vanilla extract. Mix to combine. Add the egg and mix. Add remaining sugar and mix. Scrape the sides of the mixing bowl, add the flour, cinnamon, baking powder and salt. 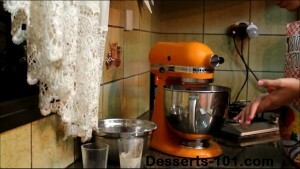 Let the mixer mix on low speed for 7 to 8 minutes until the does becomes smooth and light. Remove the dough from the mixer bowl, knead by hand about 10 times then form into a ball. Place the dough into an oiled or greased bowl, turning the dough to coat the top the turning it over so the greased top is on the top. Cover with a plastic wrap and a towel and allow the dough to rise in a draft free warm place for 1 to 1-1/2 hours, until it doubles in size. In a bowl, add the white and brown sugars and the cinnamon powder Stir well to mix. 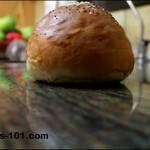 Remove the proofed dough to the work surface. Gently knead 5 time to deflate and remove some of the air. Let the dough rest for 2 minutes. Dust your surface with some flour. 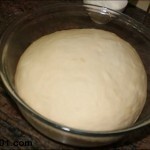 Now roll the dough out into a rectangle about ¼" (1 cm) thick. Roll up jelly roll style on the long side. Trim the ends, cut in half, then the halves in half and now the 4 pieces into half, and now the 8 pieces in half for a total of 16 rolls. Place the a parchment paper liner baking sheet. 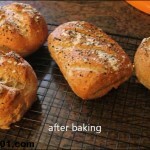 Bake in a preheated 350ºF/177ºC oven for 30-35 minutes or until they are golden brown. Cinnamon rolls are best served warm. 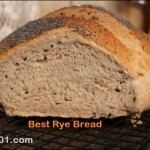 To substitute INSTANT YEAST for the active dry yeast, measure out the same amount and add it directly to the flour. There is no need to proof this test so eliminate this step and add the milk with the other liquid ingredients. Proofing may be a little quicker so check on it sooner. To substitute FRESH COMPRESSED CAKE YEAST for active dry yeast read and adjust per your package and add the yeast to the milk and proof as if it was active dry yeast. 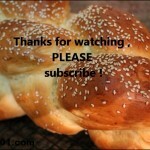 Watch me make this recipe on You-Tube.